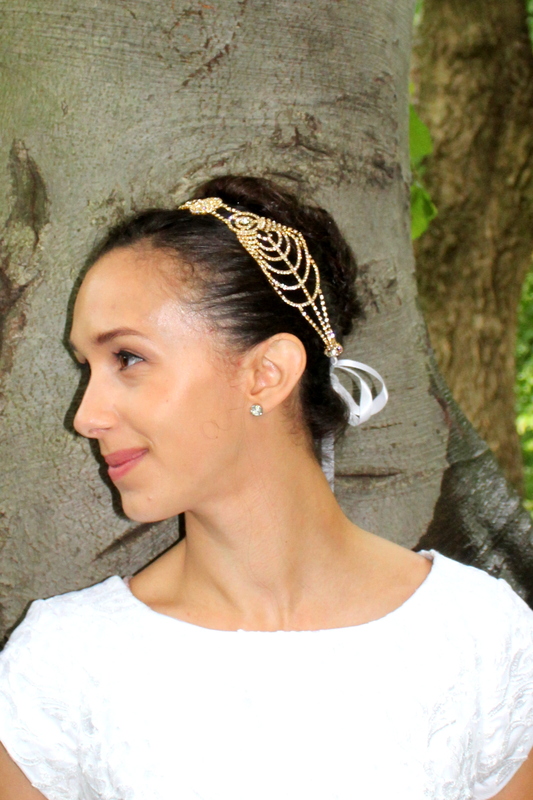 This Art Deco inspired bridal headpiece is hand made with beautiful rhinestones and a ribbon in the color of your choice for a show-stopping look that is also easy to wear! 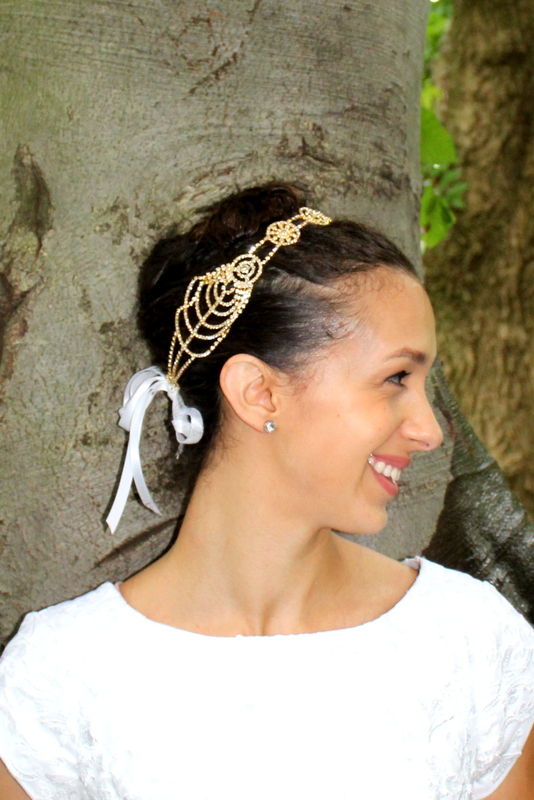 This gorgeous wedding headband is completely flexible and can be easily worn with ribbons in the color of your choice. 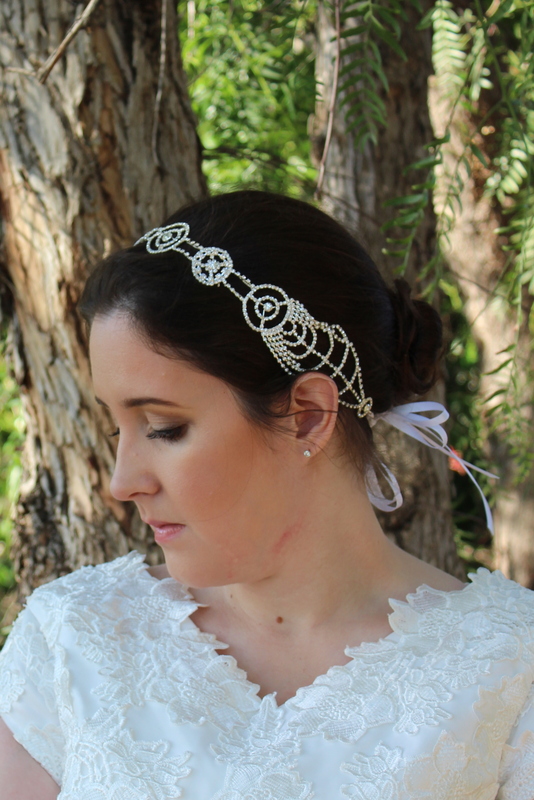 Ribbons are available in ivory, white and silver. 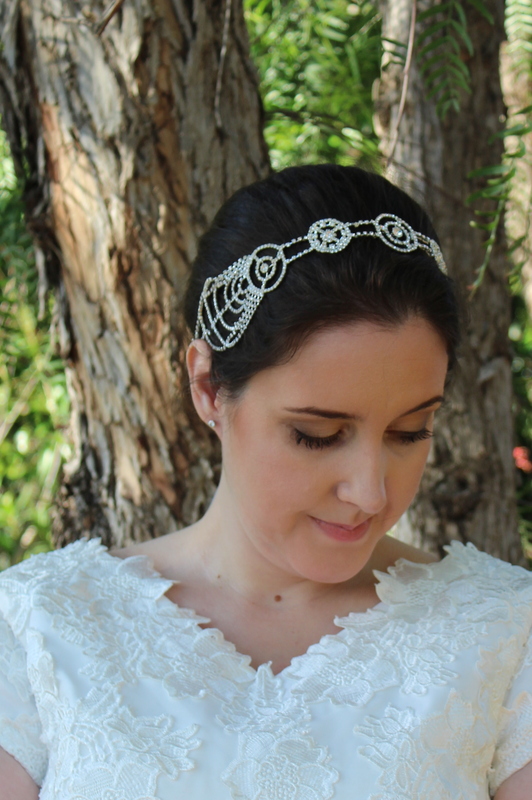 At its widest, this bridal headpiece is 2 inches and the rhinestone portion is 16.5 inches long. 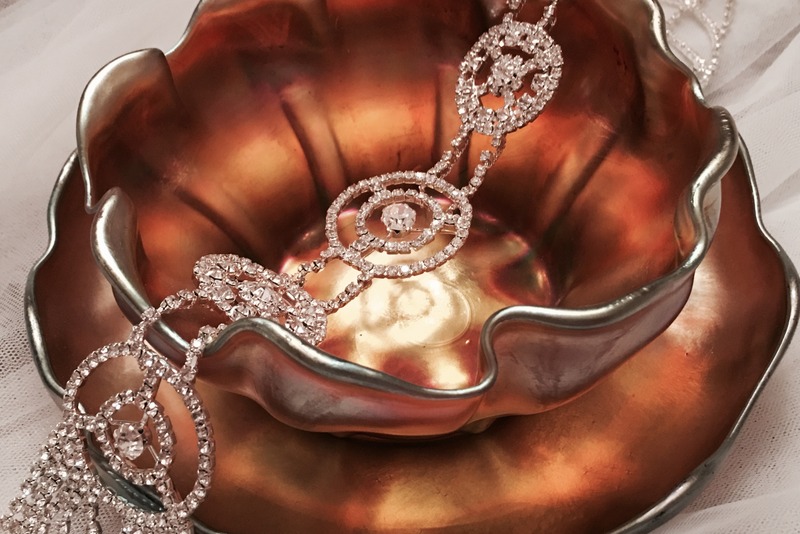 The ribbons are approximately 12 inches long and can easily be tied for a beautiful and comfortable fit. Please allow 1-3 weeks for delivery.